With duty-free shopping such a major aspect of tourism on Langkawi, the customs and immigration rules are strongly enforced. Please consult your nearest Malaysian Embassy or consular office to confirm this arrangement, as regulations may change over time. Visitors are also checked thoroughly upon departure, so be prepared to pay duty tax if you buy more than the allowed quantities of goods. Tourist visas are issued upon arrival and are free for citizens of most countries – except for North Korea, Cuba, Vietnam and China. Other foreigners may enter Malaysia without a visa for a visit not exceeding one month. Visitors can extend their tourist visa at the immigration office in Kuah. Make sure your passport is valid for at least six months after your date of entry into Malaysia. Every person entering Malaysia must possess a valid National Passport or Internationally recognised Travel Document valid for travel to Malaysia. 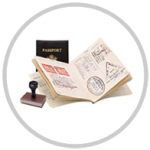 Any person not in possession of a Passport or Travel Document which is recognised by Malaysian Government, must obtain a Document in lieu of Passport. Application for the Document in lieu of Passport can be made at any Malaysian Representative Office abroad. Holders of Travel Documents like a Certificate of Identity, Laisser Passer, Titre de Voyage or a Country’s Certificate of Permanent Residence must ensure that their return to the country which issued the document or the country of residence is guaranteed. The documents shall be valid for more than six (6) months from the date of entry into Malaysia. Foreign nationals who require a Visa to enter Malaysia must apply and obtain a Visa in advance at a Malaysian Representative Office before entering the country. A visa is an endorsement in a passport or other recognised travel document of foreigner indicating that the holder has applied for permission to enter Malaysia and that permission has been granted. Foreign nationals who require a Visa to enter Malaysia must apply and obtain a Visa in advance at any Malaysian Representative Office abroad before entering the country. Visa, which has been granted, is not absolute guarantee that the holder will be allowed to enter Malaysia. The final decision lies with the Immigration Officer at the entry point. i. Single Entry Visa: Issued to foreign nationals who require a visa to enter Malaysia mainly for a social or business visit. Normally valid for a single entry and for a period of three (3) months from the date of issue. ii. Multiple Entry Visa: Issued to foreign nationals who require a visa to enter Malaysia mainly for business or government to government matters. Normally valid for a period within three (3) to twelve (12) months from the date of issue. iii. Transit Visa: Issued to foreign nationals who require a visa to enter Malaysia on transit to other countries. Foreign Nationals on transit without leaving the airport precincts and who continue their journey to the next destination with the same flight does not require a transit visa. ALBANIA, ALGERIA, ARGENTINA, AUSTRALIA, AUSTRIA, BAHRAIN, BELGIUM, BOSNIA HERZEGOVINA, BRAZIL, CANADA, CROATIA, CUBA, CZECH REPUBLIC, DENMARK, EGYPT, FINLAND, FRANCE, GERMANY, HUNGARY, ICELAND, ITALY, JAPAN, JORDAN, KIRGYSTAN, KUWAIT, KYRGYZ REPUBLIC, LEBANON, LIECHTENSTEIN, LUXEMBOURG, MOROCCO, NETHERLAND, NEW ZEALAND, NORTH YEMEN, NORWAY, OMAN, PERU, POLAND, QATAR, ROMANIA, ST. MARINO, SAUDI ARABIA, SLOVAKIA, SOUTH AFRICA, SOUTH KOREA, SPAIN, SWEDEN, SWITZERLAND, TUNISIA, TURKMENISTAN, TURKEY, U.S.A, U.A.E, UNITED KINGDOM, URUGUAY. All ASEAN countries except: MYANMAR, ANTIGUA & BERMUDA, ARMENIA, AZERBAIJAN, BAHAMAS, BARBADOS, BELARUS, BELIZE, BENIN, BHUTAN, BOLIVIA, BOTSWANA, BULGARIA, CAMBODIA, CHILE, COLOMBIA, COSTA RICA, CYPRUS, DOMINICA, ECUADOR, EL SALVADOR, ESTONIA, FIJI, GABON, GAMBIA, GEORGIA, GHANA, GREECE, GRENADA, GUATEMALA, GUYANA, HAITI, HONDURAS, HONG KONG (SAR), IVORY COAST, JAMAICA, KAZAKHSTAN, KENYA, KIRIBATI, LATVIA, LESOTHO, LITHUANIA, MACAU (SAR), MACEDONIA, MALAWI, MALDIVES, MALDOVA, MALTA, MAURITIUS, MEXICO, MOLDAVIA, MONACO, MONGOLIA, NAMIBIA, NAURU, NICARAGUA, NORTH KOREA, PANAMA, PAPUA NEW GUINEA, PARAGUAY, PORTUGAL, RUSSIA, SAO TOME & PRINCIPE, SLOVENIA, SOLOMAN ISLAND, ST. KITTS & NEVIS, ST. LUCIDA, ST. VINCENT, SUDAN, SURINAM, SWAZILAND, TAJIKISTAN, TANZANIA, TOGO, TRINIDAD & TOBAGO, TUVALU, UGANDA, UKRAINE, UPPER VOLTA, UZBEKISTAN, VANUATU, VATICAN CITY, VENEZUELA, WESTERN SAMOA, ZAIRE, ZAMBIA, AND ZIMBABWE. IRAQ, LIBYA, SYRIA, MACAU (TRAVEL PERMIT), PORTUGAL (ALIEN PASSPORT), PALESTINE, SIERRA LEONE, SOMALI, SOUTH YEMEN. INDIA, PAKISTAN, BANGLADESH, SRI LANKA AND NIGERIA. Sub Continent Nationals: BANGLADESH, INDIA, PAKISTAN, SRI LANKA. African Countries: ANGOLA, BURKINA FASO, BURUNDI, CAMEROON, CENTRAL AFRICAN REPUBLIC, CONGO REPUBLIC, CONGO DEMOCRATIC REPUBLIC, COTE D’IVOIRE, DJIBOUTI, EQUATORIAL GUINEA, ERITREA, ETHIOPIA, GUINEA-BISSAU, GHANA, LIBERIA, MALI, MOZAMBIQUE, NIGER, NIGERIA, RWANDA, WESTERN SAHARA. Other Countries: TAIWAN, MYANMAR, NEPAL, BHUTAN, PR CHINA. ii) The Sultan Abu Bakar Complexs, Tanjung Kupang. Please consult your nearest Malaysian Embassy or consular office to confirm this arrangement, as regulations may change over time. To enjoy the duty-free alcohol and cigarettes in Langkawi, you would need to stay on the island for at least 2 days (48 hours). Please retain your ferry or flight tickets and hotel receipts as proof of arrival the next time you decide to go on a duty-free shopping spree. However, do keep in mind that there are duty-free limits for certain types of items each visitor is allowed to take home: alcohol (up to one litre), tobacco (up to 225g, or 200 cigarettes), one pair of leather footwear, Batik (up to four pieces) as well as cosmetics and personal hygiene items (not including powder or hair products). 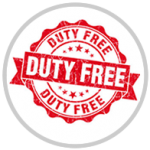 The total amount spent on duty-free item(s) must not exceed RM500 for tax exemption reasons.